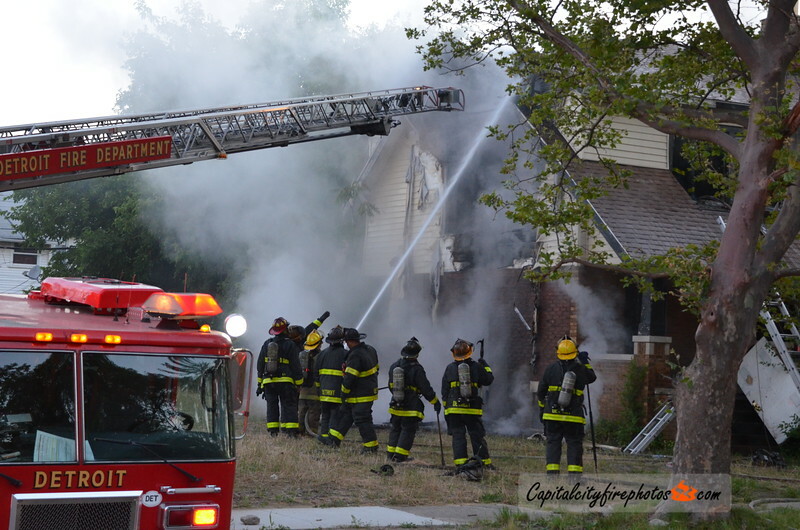 0553 hours – Box Alarm – Cambridge between Wildemere & Dexter, fire reported in a dwelling at 3212 Cambridge Street. Engines 39, 40, 42, Ladder 17, Squad 5, Chief 5. Engine 39 on scene investigation. Central gave an updated address of 2694 Blaine Street. Ladder 17 has smoke showing, Engine 39 on scene stretching on a dwelling on Blaine Street. Chief 5 assumed command reporting a 2 story dwelling going throughout holding all companies. Chief 5 updated to a dwelling fully involved and companies will be taking a defensive posture. Fire under control in 20 minutes.